Issue 5, the casino amendment, is all but dead. Last week, the Arkansas Supreme Court issued a ruling and held that the issue would not reach voters, because the ballot title was legally insufficient. Even though you are probably still seeing those crazy ads on television, and fliers in the mail, it appears that the effort to install casinos in Arkansas will have to wait. In this case, Petitioners, the Committee to Protect Arkansas' Values/Stop Casinos Now, argued to the Arkansas Supreme Court that Issue 5 should be rejected because the ballot title was misleading. Among its concerns, was a provision in the title that purported to allow the new casinos to "accept wagers on sporting events" and offer " any game, device, or type of wagering permitted at a casino operated within. . . Nevada". This language was problematic because Federal law expressly prohibits sports books and sports gaming, subject to just a few well known exceptions. When testing a ballot title, the court looks to whether it is intelligible, honest, and impartial. Ward v. Priest, 350 Ark. 345, 86 S.W.3d 884 (2002). If information omitted from the ballot title is an essential fact and would give the voter serious ground for reflection, it must be disclosed. Finn v. McCuen, 303 Ark. 418, 798 S.W.2d 34 (1990). Here, the Arkansas Supreme Court found that Issue 5, if passed, would clearly violate the Professional and Amateur Sports Protection Act, 28 U.S.C.A. Section 3701-04 ("PASPA") because, by its terms, the ballot title authorized sports gambling. Even if Issue 5 had passed, there was simply no way to implement this portion of the amendment because it was contrary to Federal law. Since the ballot title did not inform voters of this essential fact, the Arkansas Supreme Court had no choice but to strike the measure. In case you were wondering, even before signatures are obtained, ballot titles must first be approved by the Arkansas Attorney General. Issue 5 was found approved on June 1, 2016. State law allows the AG to reject the measure if it is legally insufficient. The Supreme Court alluded that this ballot title might have been sufficient, if it had simply disclosed that the authorized activity violated Federal law. See also Cox v. Martin, 2012 Ark. 352, 423 S.W.3d 75 (medical marijuana proposed amendment from four years ago was not misleading because it informed the public that the use of marijuana was illegal under Federal law). Another strange nugget of information: PASPA does not apply to parimutuel animal racing (horse/dog tracks), and of all things, jai-alai. I have visited casinos all over the country, and I've never seen anyone betting on jai-alai, nor would I know how. If anyone has bet on (or let alone ever seen) live jai-alai, I would be interested to know about your experience. Arkansas Wins has, in all likelihood, lost. It has five days from October 13, 2016 to file a petition for rehearing (Update: it just filed a petition for rehearing). For the non-legal eagles, a petition for rehearing is only granted in rare circumstances, where the court was clearly wrong. In essence, the Supreme Court will have to acknowledge that they made a mistake in their own analysis. 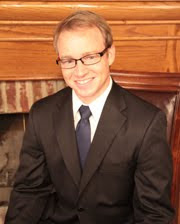 C. Michael Daily is an attorney with the long-established law firm of Daily & Woods, P.L.L.C. and is licensed to practice in the states of Arkansas, Oklahoma, North Dakota and Wyoming. Mr. Daily can be contacted by telephone at 479-242-3953, by email at mdaily@dailywoods.com, or by regular post at 58 South 6th Street, Fort Smith, Arkansas 72902. You can follow Mr. Daily via social network using any of the social network links in the right hand column of the page. Disclaimer: This blog is for informational purposes, is certainly not to be considered legal advice and is absolutely not a substitute for any of the benefits that are associated with the attorney-client relationship.